The Estate sits on the south bank of Parco dei Monaci (Monks Park) high ground, an ancient marine terrace. The thin layer of soil, which is based on limestone, is well balanced: medium-textured calcareous. The vineyards have layout of a dense, to ensure competition between plants, with logs to a meter and close lines, a high density plantation of 4,000 vines per hectare. The vines are trained cordon, with branch pruning to 70cm and with low battery bud. All cultural practices are designed to protect the environment, with organic fertilizers and agronomic spreading of pruning and winemaking. Shoots and skins are returned to the soil to maintain fertility and prevent fatigue over time. In late winter, manure and guano are distributed in turn. Phyto treatments are carried out by the method of organic farming. Upstream of the Estate and to the foot of the historic Grange of Parco dei Monaci, extends the Monks Vineyard. 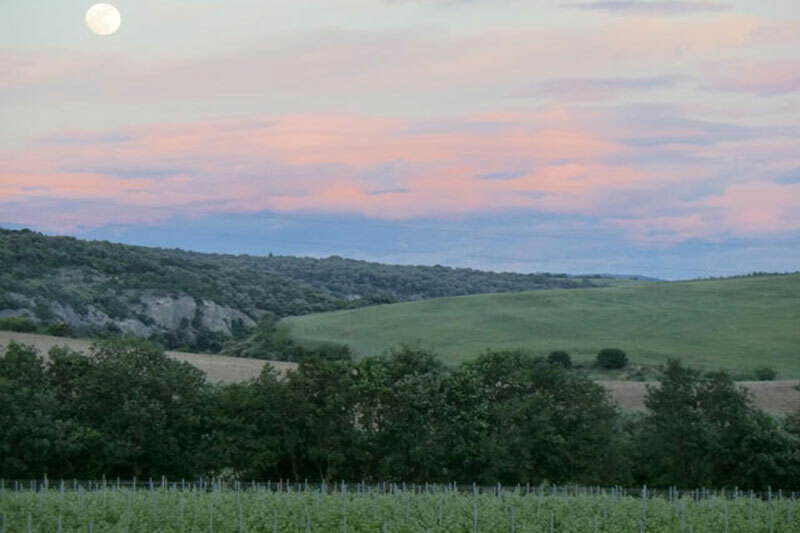 Nearly three acres and eleven thousand plants give us every year from 10 to 12,000 bottles of Primitivo di Matera DOC wine: both red (Monacello) and rosé (Rosapersempre) types. The Primitivo variety is at its best thanks to the shallow soil and the important slope that ensures excellent drainage. The exposure to south, with logs aligned from the north, ensures high brightness all day long. This plantation leads to memory the glory days of the mighty fortifications of 'XI century above it. For here, in times past, the Basilian Monks of the Abbey of Montescaglioso had held their own vineyard. 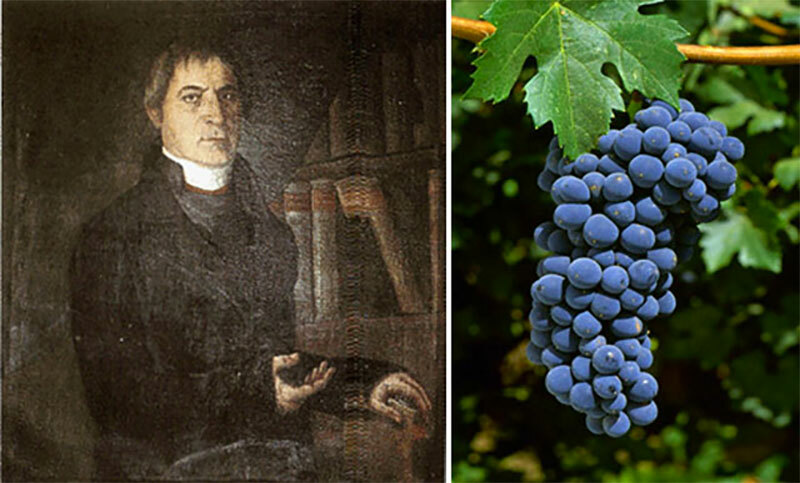 At the end of 1700, Don Filippo Indellicati (Priest in Gioia del Colle) isolated a type of grape that matured before the others and gave it the name Primitivo. That quality grape soon spread across the Murgia plateau, particularly among the monastic orders always devoted to viticulture. Downstream of the estate, where the terrace of the Parco dei Monaci meets with the Murgia plateau, lies the Park Vineyard. 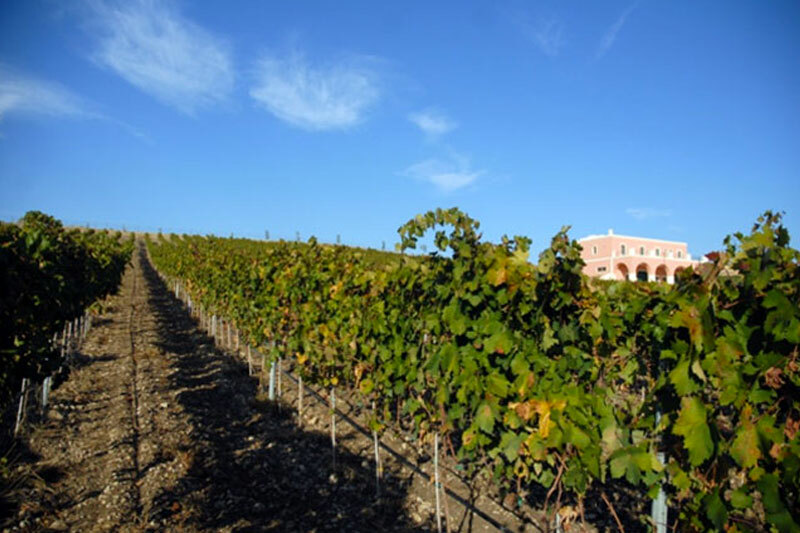 Just over two hectares annually produce from 8 to 10,000 bottles of Moro di Matera DOC wine, from Cabernet Sauvignon and Merlot cut autochthonous Primitivo grape (Spaccasassi). 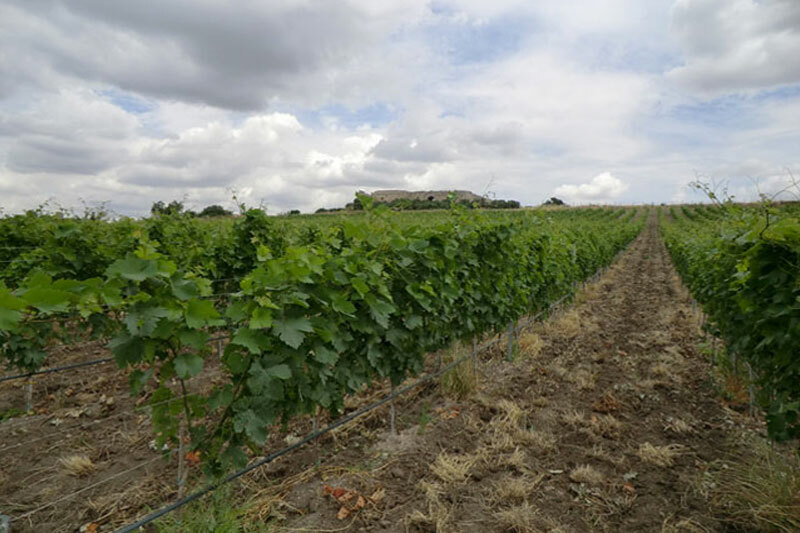 The international varieties have found an outstanding terroir thanks to the loose and limestone soil, coupled with constant wind exposure: south wind that blows from the sea during the day, north wind that comes down from the plateau at night. This provides for strong temperature day and night excursion, with favorable impact on grapes quality. 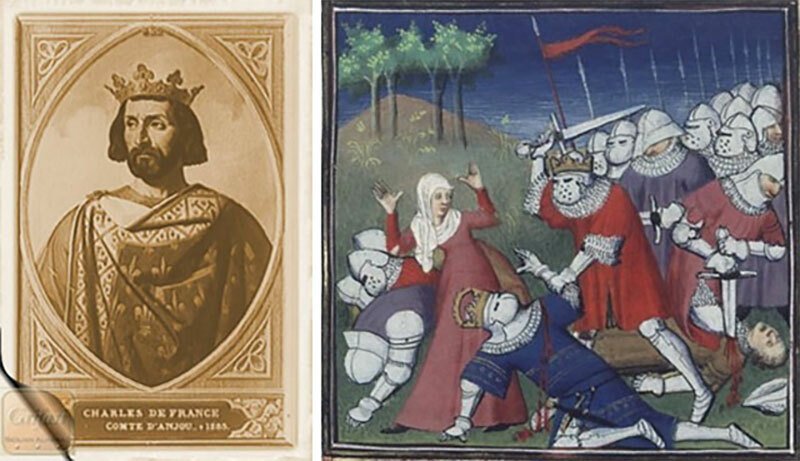 In 1265 Charles of Anjou, brother of the king of France, accepted the Pope’s offer to settle in the Kingdom of Naples. Pope Urban IV was in fact frightened by the expansionist ambitions of the Ghibellines. In 1266, Charles came to the throne of Naples after beating in Benevento Manfred of Sicily. The Angevins of Naples (1266-1442), and in particular the dissolute Giovanna that succeeded to Charles I, introduced to south Italy many French customs. Some authors report that, at the time, Angevins emissaries searched in the Murgia plateau for calcareous areas to plant French grape varieties to produce wines for the Court of Naples. In mid of 1800 most of Europe's vineyards were destructed by phylloxera, an insect that came from America. So, at the end of the century, modern viticulture brought to the selection of resistant varieties. At that time, plants of Cabernet Sauvignon and Merlot were isolated in the French region of Bordeaux. These exceptional varieties soon spread throughout the Italian peninsula. Given their historical presence in Matera countryside, they are now the basis of a “Matera” DOC wine.